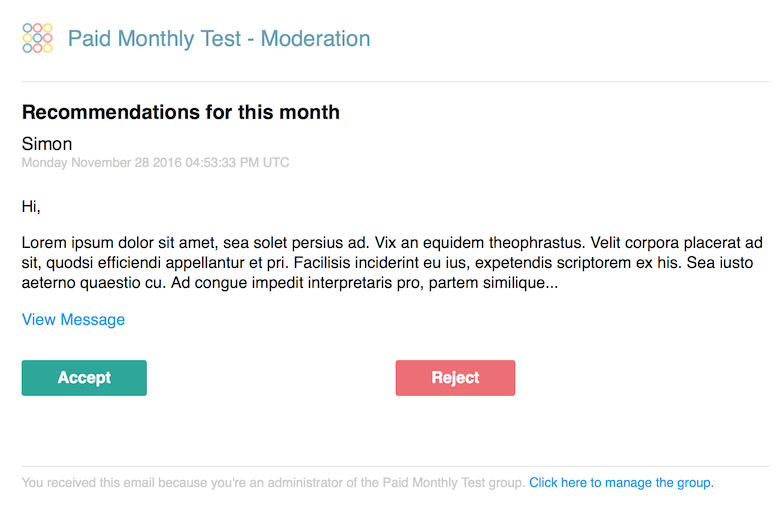 Moderation allows messages to be sent to a group and not be passed on to members until they have been approved by an administrator. This is useful when administrators want to keep tight control on the messages that get circulated. With moderation enabled a message sent to the group appears in the administrator’s message list with a ‘Moderate’ tag. Members who can see the message archive will only see messages which have passed moderation. An administrator can then view the message and choose to either Approve or Reject it. 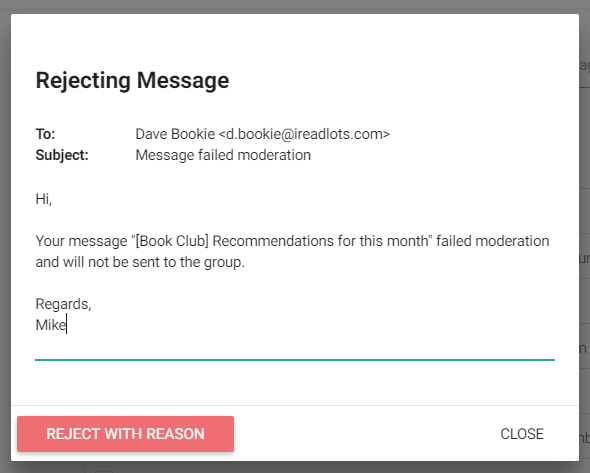 They can also choose to “Reject with Reason” which will send an email to the original sender of the message allowing the administrator to explain why the message was rejected. Group administrators receive an email every time a message is held for moderation. The email contains a snippet of the message and links to either approve or reject it. Note: Messages sent to the group by administrators are never subject to moderation.